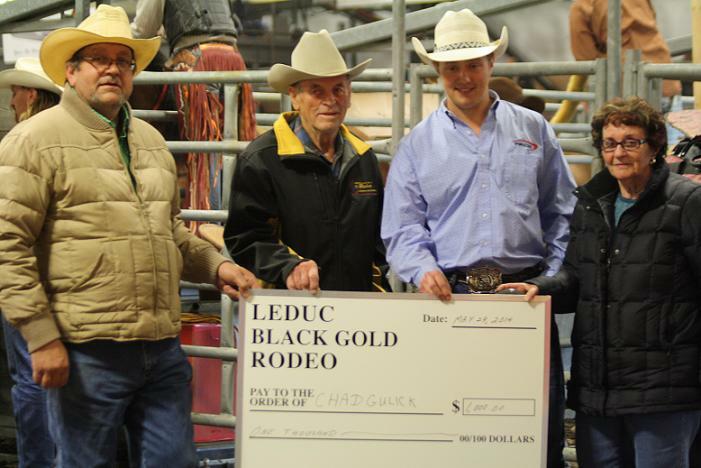 One way the Leduc Black Gold Rodeo gives back to the community and promotes the future of our cherished rodeo way of life is with the Harvey Northcott Memorial Fund Scholarship. 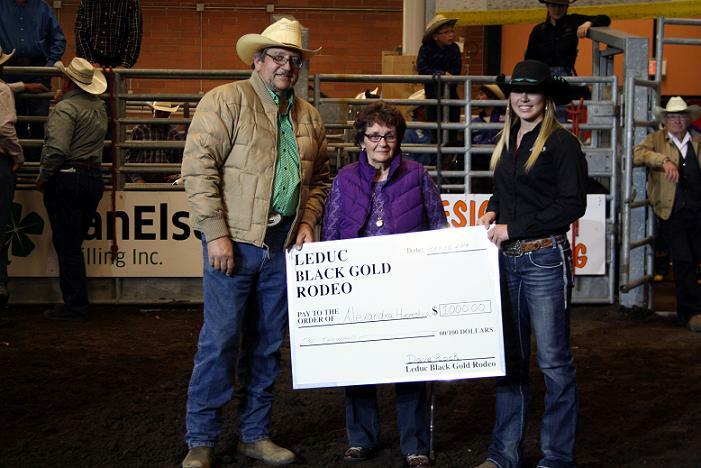 Established by the BGR Association and named for one of Leduc rodeo's original founding fathers, the scholarship is there for Alberta residents, particularly those in the Leduc County area, who are enrolled full-time in an agriculturally-based apprenticeship, trades program or other post-secondary institution. Past winners have universally been appreciative of the financial boost the scholarship provided and this year's winners are no different in that regard. One 2014 winner, Keely Bonnett, for example, credits the scholarship with helping him get to attend a junior college in New Mexico where he is working toward an Associate Degree in Arts. Keely remains involved with rodeo while attending to studies as a member of the college's rodeo team, "The Thunderbirds". Keely's specialties are in team roping, calf roping and steer wrestling. Another young person putting their scholarship to good use is Alexandra Hiemstra. She is using the funding to attend the University of Saskatchewan in the Animal BioScience Program. Her goal is to become a veterinarian and Alexandra credits the scholarship as being a welcome asset in her quest. Also seeking a future in an agrarian-related field is Tye Werk; another thankful 2014 scholarship winner. Young Tye is enrolled in the world-class Advanced Farrier Science Program at Olds College. Farriery is the art and science of horse-shoeing for those unfamiliar with the term.) 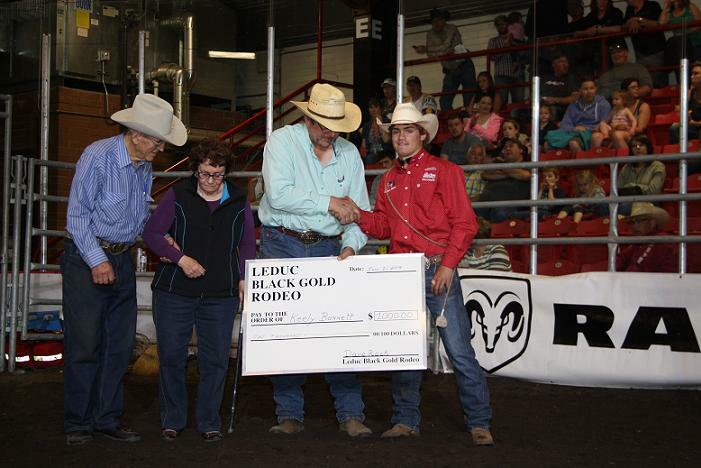 In tandem with his studies, Tye also found time to compete in Tie Down Roping and made the finals in the Canadian Intercollegiate Rodeo Association's annual meet. 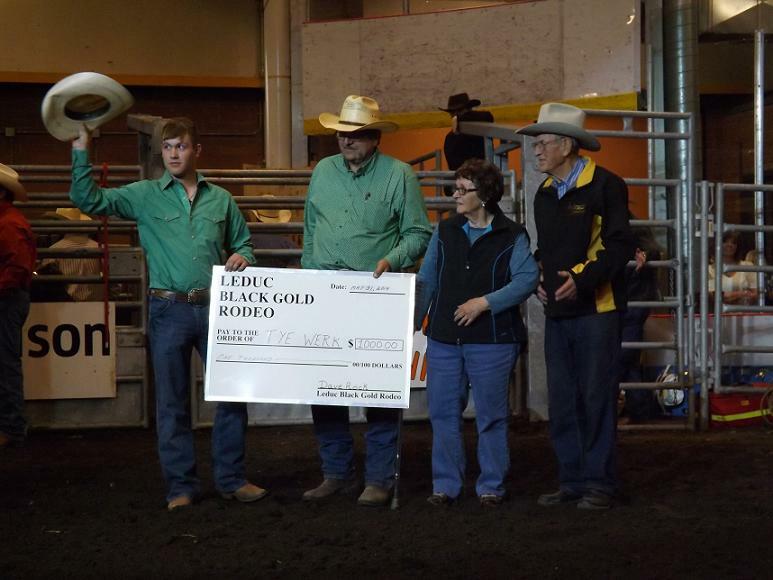 The Black Gold Rodeo Association takes great pride in helping to encourage area youth to pursue higher learning while embracing their rodeo roots. 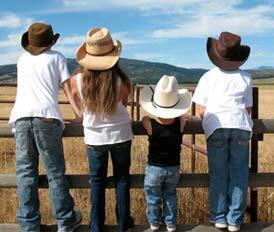 Our hats are off to these fine young people as they chase their dreams. We are currently looking forward to receiving applications for the 2016 scholarship program.